Armed with Faith follows three men of the Khyber Pakhtunkhwa Bomb Disposal Unit (KPK BDU) to the front lines of the war in Northwest Pakistan. The lawless, tribal region bordering Pakistan’s Khyber-Pakhtunkhwa province — considered the gateway for terrorists from neighboring Afghanistan – is the backdrop of our film. The battle for control of this porous border area remains critical to the stability of Pakistan and global security. Should Pakistan, a nuclear power, fall into the hands of terrorists, the entire world is at risk. 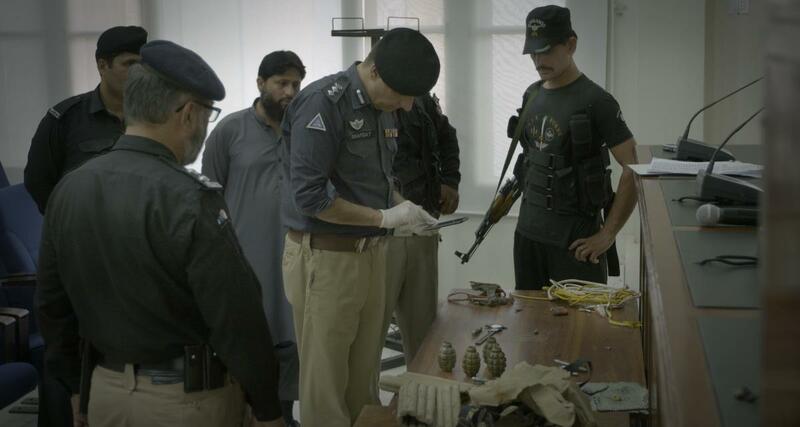 The men of the KPK BDU unit defuse terrorist-planted bombs in the region, often using just their bare hands. Armed with Faith gets up close and personal with two bomb technicians and their commander as they defend their homeland from terrorists spurred by the war in Afghanistan and drone strikes in the region. Ironically, the KPK BDU battle men who look like them, speak their language, share their religion, and even come from their villages. Through the stories of these men, viewers will have unprecedented access to the legacy of devastation caused by the American-led war that has afflicted this region for nearly 15 years and claimed over 50,000 civilian lives.